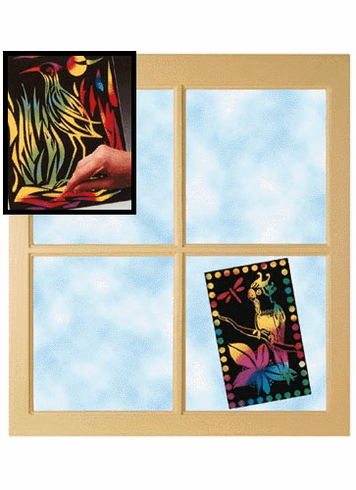 Draw your designs with the wooden stylus and create beautiful stained-glass effects. Translucent colors are revealed when the scratched lines are held up to a window or other light source. Ten 8" x 9.75" sheets, wooden stylus, hanging strips and instructions included.